Today we received a letter in our in-box. 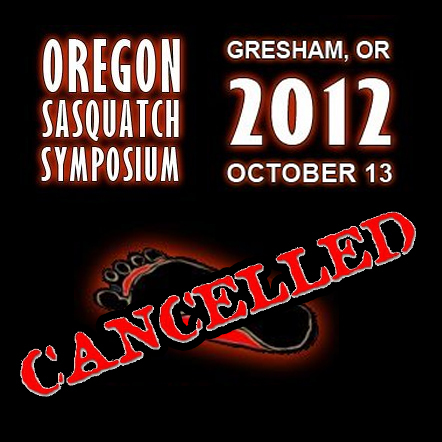 Regretfully it announced the cancellation of Toby's 3rd annual Sasquatch Symposium. We were looking forward to the event, we were especially looking forward to Bill Munns 3D digital presentation of his Patterson/Gimlin. The following is the full email explaining the details from Toby Johnson. This is a very difficult letter forme to write you all, but It needs to be written, but the OSS 2012 has been called off. The cancellation is due to lack of interest in ticket sales for pre-registration.. In other words the numbers do not add up at all for me to continue forward. We have over 400members on the OSS website, and only about 4% those members have showninterest in attending. Just to give an example, the 2010 OSS had over 140 preregistered tickets that we’re requested by now. The OSS 2011 conference at CWBhad very powerful pre reg. numbers as well, even with its smaller more intimatesize.For some reason, this conference just has not caught on. Refunds for Pre Registered OSS tickets will be made in full to those who bought them online and who paid inperson. I will send an email to each one of you personally by the 15thof August and if for some reason you donot get that email, please email me with your receipt for ticket entry and agood address I can send you a refund. Refunds in total will be mailed out bythe 13th of October. If you have a hotel reservation, Isuggest you cancel the reservation now. Any further questions you have onthe who, how and why of it all, can be emailed. 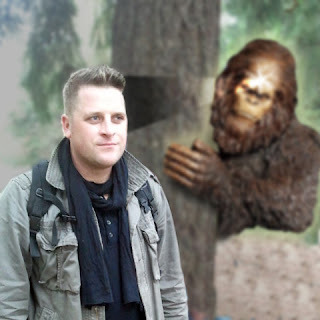 Tomorrow night, Tuesday May 15, at 7pm Toby Johnson of the Oregon Sasquatch Symposium will host witness Kirk Fredrickson. Kirk is an author and teacher and has a unique perspective on the Sasquatch phenomena. A perspective that only he can tell. Kirk does not do many presentations and rarely shares his personal encounters. 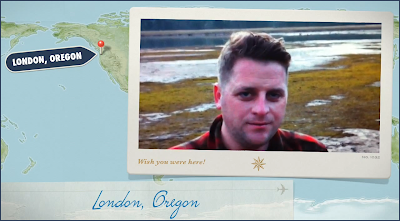 If your near Portland, Oregon you will want to check out Kirk's presentation. Toby will also have casts from the London Trackwway and tickets for the October 13th Oregon Sasquatch Symposium. The Space Room Lounge is a perfect venue with black light glow in the dark murals and the best Long Island Iced teas! 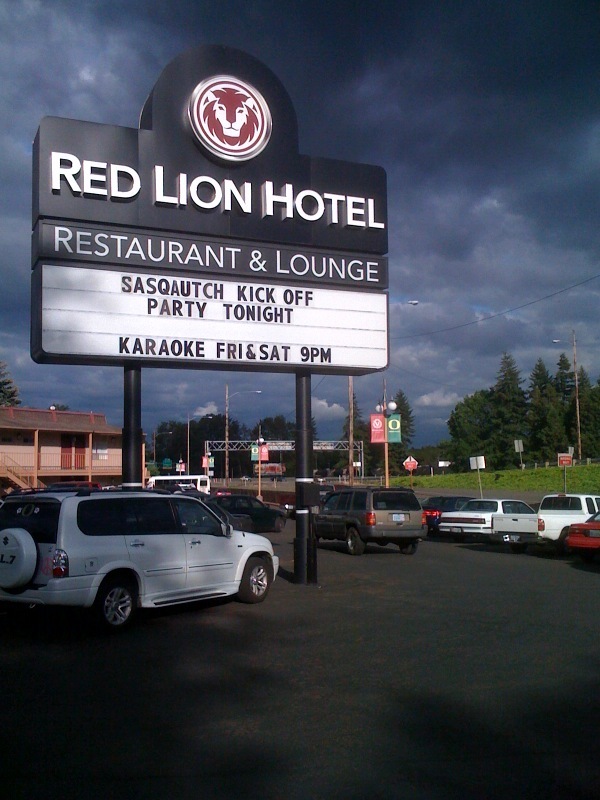 Space Room Lounge can be found in SE Portland, 4800 SE Hawthorne Blvd to be exact. 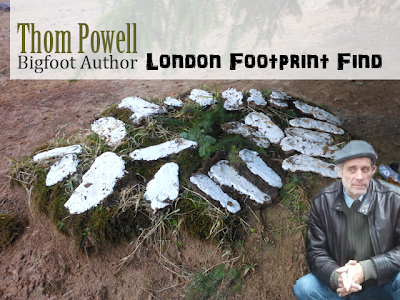 Tonight, at the Sasquatch Brewery: 6440 SW Capitol Hwy, author Thom Powell and Toby Johnson will discuss the five days following the discovery of the London Trackway (Read complete coverage of the London Trackway). 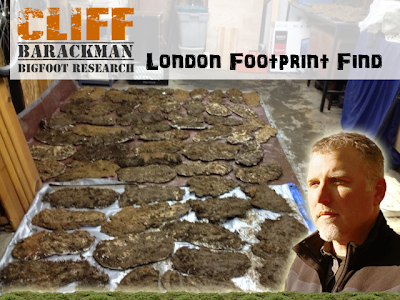 The London Trackway is the name of the 120-plus tracks, possible Bigfoot tracks, were discovered south of Eugene, Oregon in mid February 2012. 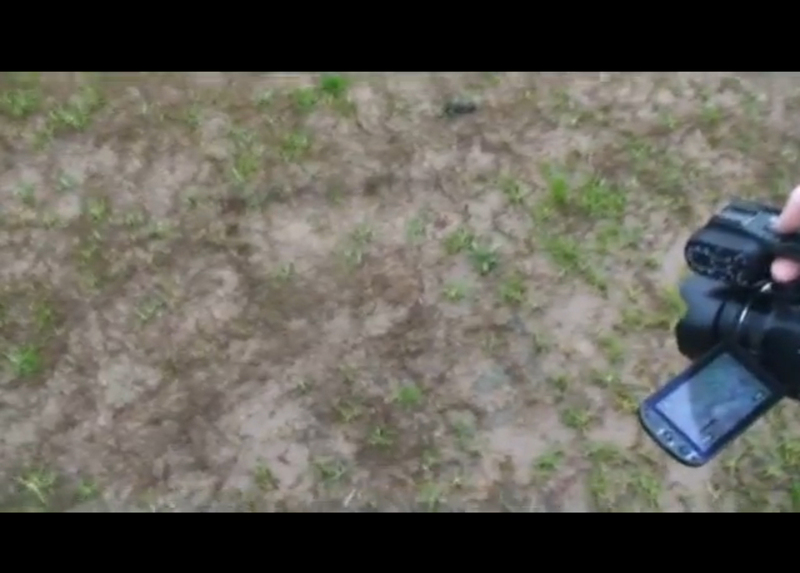 These tracks were first discovered by Toby Johnson and his friend known as Tracker. You can read the brief timeline and the original report here or the extended one written by Toby himself. On March 14th, Toby Johnson was interviewed during the last hour of Alex MidnightWalker's BlogTalkRadio show. (Listen to interview) During the last half of the interview Toby recalls the some truly puzzling events that transpired the following Sunday after the tracks were discovered. Both author Thom Powell and Toby Johnson will cover the London Trackway and expand on the following paranormal Sunday. Bring your questions and an open mind! 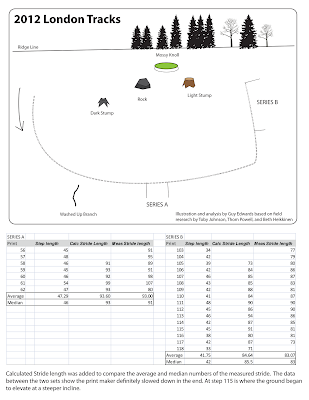 Tickets to the 2012 Oregon Sasquatch Symposium will be available, as well as copies of the London Trackway casts available for purchase (both $20). Author Thom Powell will have signed copies of both of his books The Locals and Shady Neighbors. Shady Neighbor cover artist, Guy Edwards, will be available too. 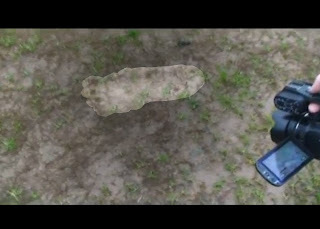 During the week of February 12th through 17th over 120 possible Bigfoot prints were discovered south of Eugene, Ore. Most of the story has been told and documented. What has not been made public is Toby's experience the following Sunday. On the following Sunday (FEB 18th), Toby Johnson, Beth Heikkinen and a few other individuals recall having non-verbal communication with Sasquatch. Some of the men had bouts of nausea and, at points, restricted mobility. On March 14th, Toby Johnson was interviewed during the last hour of Alex MidnightWalker's BlogTalkRadio show. The first half of the interview Toby reiterated most of what has already been documented by Bigfoot Lunch Club in our London Tracks section. Below is just the portion of the interview where Toby recalls the events that transpired during the paranormal Sunday. 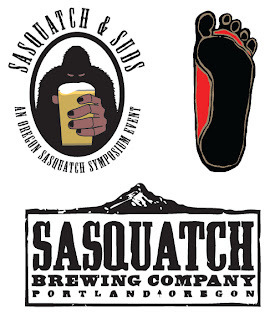 Toby and Thom Powell will go into further detail at the Mar 20th Sasquatch and Suds Event located at the Sasquatch Brewery. 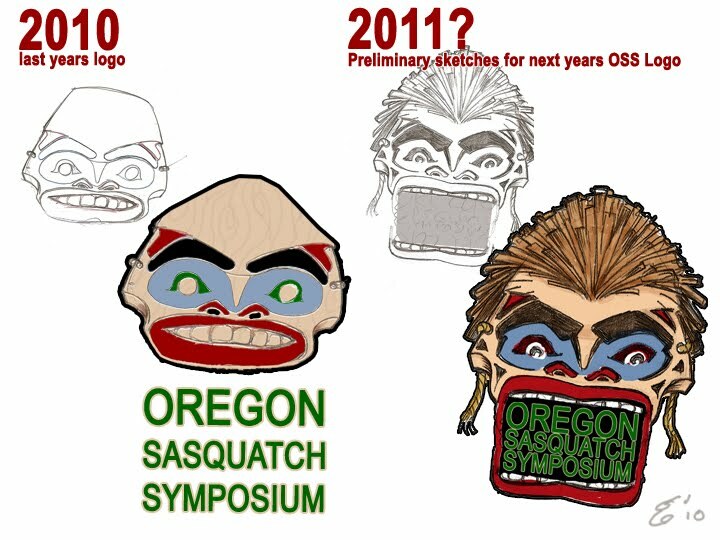 Also make sure you buy your tickets for the 2012 Oregon Sasquatch Symposium. Toby Johnson, Oregon Sasquatch Symposium organizer and "Friend of the Feet"
March 14th, a month after the discovery of the 122 possible Sasquatch prints, known as the London Tracks, found south of Eugene, Ore, Toby Johnson is interviewed by Alex Midnighht Walker on his BlogtalkRadio channel blogtalkradio.com/midnightwalkers. At 6:00pm you can tune in to this link http://www.blogtalkradio.com/midnightwalkers/2012/03/15/welcome-toby-johnson. 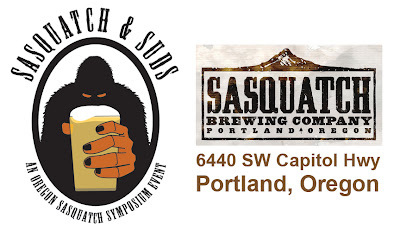 and listen to Toby talk a little about this year's Oregon Sasquatch Symposium and Featuring Bob Gimlin and Bill Munns (buy your tickets here). Toby will also discuss the 122 tracks found south of Eugene, Ore., in Cottage Grove. You can read our initial report on the London Tracks, our follow up video-interview with Toby, and Toby's video, "The first 48 hours"
The description of tonight's BlogTalkRadio hosted by Alex Midnight Walker is below. Oregon Sasquatch Symposium organizer Toby Johnson hasn’t seen a Sasquatch first hand, but he is a "Friend of the Feet" none the less! This wasn’t always so. The curiosity of a genuine wooded mystery peaked when he and his son walked upon a 5 toed human looking track back in 2005. 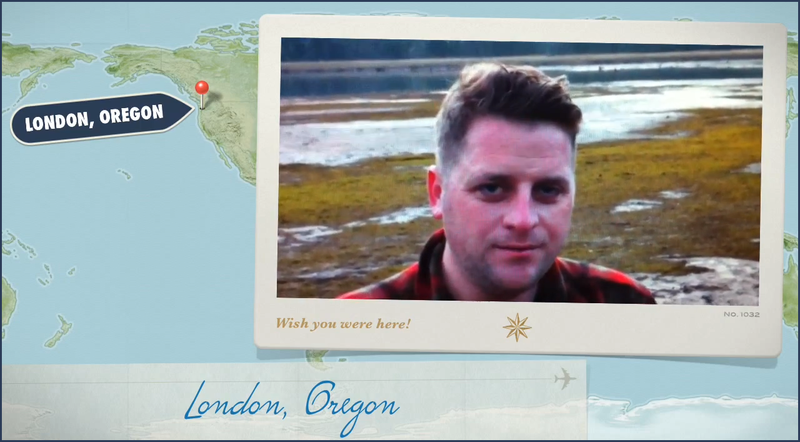 Since that day to his surprise, Johnson discovered that the Willamette Valley area is teeming with Sasquatch witnesses that are silent in "mixed" company. Because of this, the annual OSS partly served as Sasquatch support group, albeit one where the therapeutic model is reversed — instead of opening up and sharing your problems, you’re simply sharing what is actual and factual in a uncommon world view. Recently on Feb 15th of 2012, Toby Johnson was the first to document and cast the historical London Trackway. The 122 Sasquatch prints from Lane County Oregon is as of today one of the most documented suspected Bigfoot tracks to be investigated. 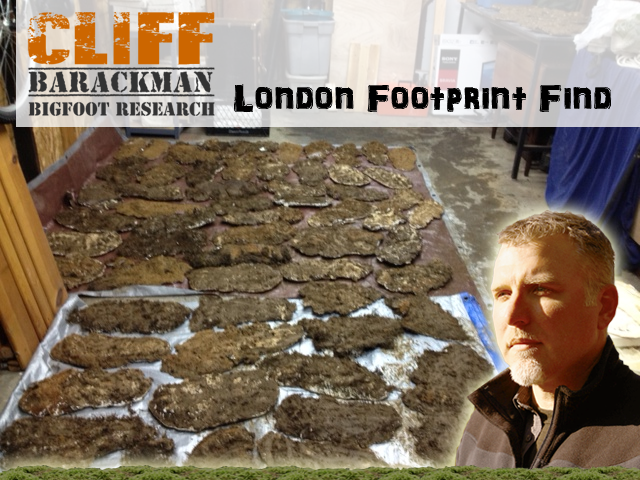 With over 10 Sasquatch researchers on scene, 2+ hours of video, witness testimony, ample sharing of data and a 5 day follow-up into the mountains, The London Prints could serve the whole Sasquatch community as a unmatched resource for years to come. 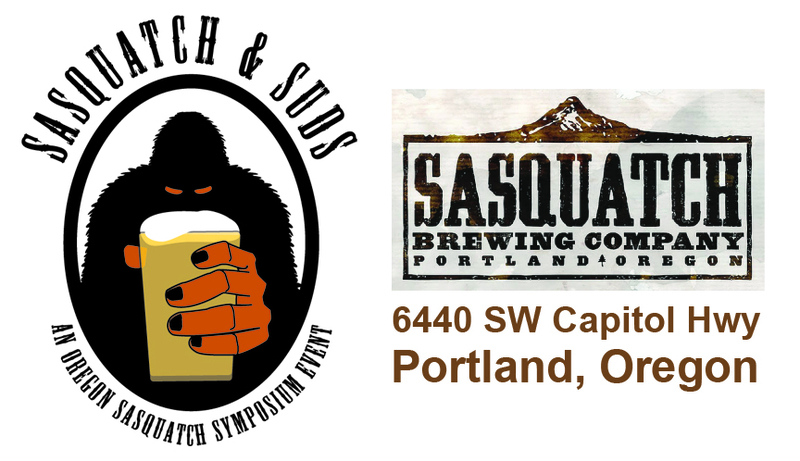 The Sasquatch and Suds are monthly events open to the public, anybody and everybody are encouraged to join us. Toby Johnson, the man behind these events couldn't have picked a better place than the Sasquatch Brewery. (Thom Powell gets a little credit too). If your weird uncle polished up his floors to a high sheen, bought a bumload of brewing equipment and a whole bunch of classy wooden furniture, and started cranking out gourmet popcorn and toothsome cheese platters, his place would probably look a lot like Sasquatch Brewing Company, a spanking new gastro-pub located out on Capitol Highway. Sporting Southwestern wall hangings, a mounted buck head and a variety of eclectic art—not to mention the requisite ginormous beer-selection-bedecked chalkboard—the place maintains a fun garage-sale charm with none of the spiderwebs. It’s family-friendly vibe, far from detracting, adds to the allure of this refurbished Portland rambler. Prospective visitors should be advised that, while cozy and cheerful, the bar area has limited seating. Groups should plan to gather around tables, and while doing so, enjoy some of the wonderful food on offer, such as beet fritters with chevre, or buttermilk fried chicken. During happy hour, peckish patrons can munch on excellent fries or house-made herbed popcorn for $2, warm olives or a honeyed pretzel for $3, and the house burger for $6. With its comfy chairs, broad rain-spattered windows, evening candles, and able serving crew, Sasquatch is as good a place to duck in and grab some chow as it is to stay and chill for an hour, two, three…up to you, really. Live music is in the works and on February 21, giant ape enthusiasts can come meet notables from Animal Planet’s Finding Bigfoot and learn more about the pub’s elusive namesake. In the meantime you can partake of a wide selection of worthy craft beers (e.g., Oakshire’s Overcast Espresso Stout or the venerable Fred Ale from Hair of the Dog) while anticipating the arrival of Sasquatch’s own house beers; among those planned are a few IPAs, a brown ale, red ale, and a light session ale, all made with Northwest ingredients. We want to spend the final days of 2010 appreciating those who have supported us this year. Three years ago, we could of never hoped for this much success. Our only goal was to search, dig and find the most topical Bigfoot news, make a modest mark and if we were lucky contribute value to the community. We will save the last day for our fans, without your tips comments and suggestions we wouldn't have the mass appeal we have. For now, we would like to recognize Toby Johnson. We know Toby has learned cloning technology and refuses to share with the rest of us. 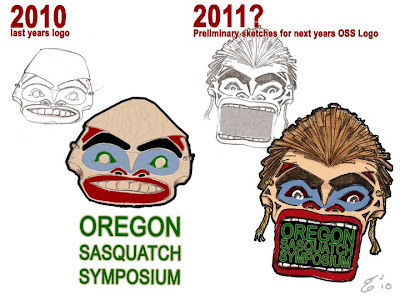 Without duplicating himself, there is no way one man could have accomplished as much as he did during the first annual Oregon Sasquatch Symposium. We know he had help, but no one can deny how much he put into the event himself. He's on his way towards the 2nd annual symposium and, trust us, we will have more info on that as we get closer to the event. Toby was our gateway drug to bigfooting community, when we began our blog we had only read about other Bigfooters, because of Toby we were able to meet them, talk to them, drink beer with them! And of course talk Squatch. Thanks Toby for being a friend of Bigfoot Lunch Club. We salute you. We will see you at next years 2nd Annual Oregon Sasquatch Symposium. Check out next years line up below! Beth Heikkinen is an independent researcher living in the Pacific NW. Beth's first daytime sighting happened 50 miles from her home. Since that time, and with the help of wonderful people, her background now includes tacking, backpacking and hiking. In the nearly 50 years of active research regarding the Sasquatch phenomena, Lee has come to the conclusion that Sasquatch has a very unique form of conscience reference; such as "There is an awareness for play, exploration, hunting/gathering, safety and shelter...a intuition compared to our need for reasoning. In addition, their ability for focused coherent emotional energy and ability to manipulate the high density subtle energy of a remarkable conscious universe. Also known by quantum as the intelligence invisible energy field that is independent of time, space and form." Thom authored a book about Sasquatch research entitled "The Locals" which was described by reviewer Lisa Kearns as, "a brilliant combination of science and storytelling". His was the first book to suggest many fairly radical ideas that have since been endorsed by many contemporary researchers, such as habituation, infrasound, paranormal elements, human levels of intelligence in the Sasquatch, awareness of cameras, and much more. Henry made the very first Bigfoot websites on the Internet and also helped many currently notable footers build their websites/databases and moderated the first Bigfoot newsgroup and the first Bigfoot email discussion group...to which Henry is stated as saying, "I apologize for that, please forgive me." On July 1, 2000, Dr Johnson and his family ran into a Sasquatch about one mile up the mountain from the Oregon Caves National Monument Park. Since their encounter, Dr Johnson has led numerous research expeditions surrounding the Oregon Caves as well as near Grants Pass, Oregon. His encounter and subsequent research expeditions have helped him to become a sensitive listener to others who've had encounters and need someone to talk to. Dr. Johnson also works through the issue of PTSD with the witness, a process he deeply understands. He is best known for his audio evidence of indistinguishable vocalization, known as The Sierra Sounds. The Sierra Sounds Volume #1 "Bigfoot Recordings" is a selection of audio clips captured by Morehead, that reveal very clear Bigfoot vocalizations captured on a crisp night at a remote wilderness camp. Nelson is retired U.S. Navy Cryptologic Technician Interpreter (Crypto-Linguist), and he worked for Naval Intelligence, logging thousands of hours of collection and transcription of voice communications. Buy OSS tickets and T-Shirts now! We Are kicking off Thom Powell Week. That's right! We are dedicating a whole week to Thom Powell. 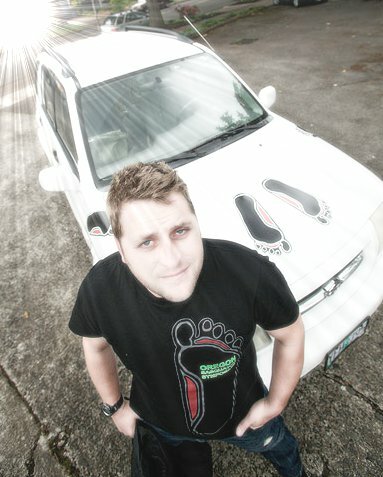 Many of you may know him as author of "The Locals" We are doing this to help promote an event co-sponsored by the Oregon Bigfoot Symposium and the University of Oregon at 7 p.m. Nov. 3 in the UO Living Learning Center’s South Building. Tomorrow we will have a full bio of the man, until then, keeping with our pulse on breaking news, we thought we would launch THOM POWELL WEEK with an article just released today by columnist Bob Welch of the Registered Guard. LEABURG — Outside Ike’s Pizza, a half moon tints the thin clouds above the McKenzie River in a touch of mystery. It is just after 8 p.m. last Thursday. The restaurant is closed. Inside, sweat trickles down the semi-bald head of a 40-something man who is telling of his encounter in Northern California five years ago. 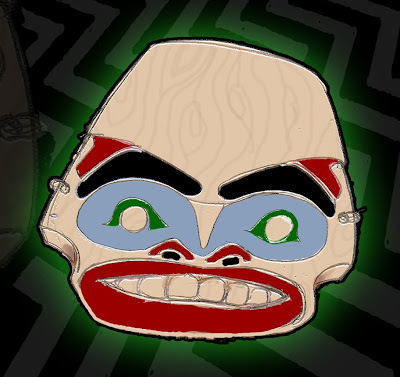 Behind the man, on the wood-paneled wall, a drawing of a Sasquatch-like creature — “Enoch” — shares face time with the chinook salmon over the fireplace. Ike’s owner Dave Starck hands the man a paper towel to wipe off the sweat, then turns to me. The film crew from England is expected shortly. For now, I feel like an agnostic who’s stumbled into a church of tried-and-true believers. Why here? Why now? Why me? Because much as I’d like to just make fun of this Bigfoot stuff, I can’t — even though when the guy says the Sasquatch had “matted sideburns,” I confess I think of some Bigfoot/Elvis incarnation. Instead, when I hear of this gathering of eye witnesses at the McKenzie’s unofficial Bigfoot headquarters, Ike’s — and a five-man film crew from England’s Diverse Bristol (“Men vs. Wild”) film company arriving to capture it — I head upstream like a spawning salmon. I arrive just before 6 p.m. 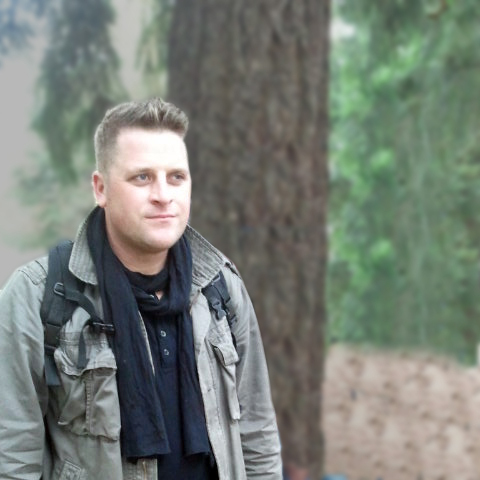 The film crew is to arrive at 6:30 p.m.
As I wait, I ask Toby Johnson, 35, the organizer of last summer’s Oregon Sasquatch Symposium in Eugene, why he got involved in the movement. Above the greasy remains of a small pepperoni, he hands me his cell phone with a photo of what appears to be a very large footprint. “Saw this print five years ago, in the hills near Thurs ton, while hiking with my son,” he says. But going public invites ridicule. “Suddenly, you’re grouped in with these banjo-picking ‘Deliverance’ types,” he says. Still, that didn’t stop him from organizing the symposium or an upcoming lecture by Bigfoot author Thom Powell, an event co-sponsored by the Oregon Bigfoot Symposium and the University of Oregon at 7 p.m. Nov. 3 in the UO Living Learning Center’s South Building. The handful of people here tonight all seem to believe. I hear of guys driving dark roads and suddenly seeing Sasquatch come out of the woods along a highway and into their headlights. Of recent footage supposedly taken by a river guide near the McKenzie River’s Fish Ladder Rapids, between Olallie and Paradise campgrounds, that appears to show a Bigfoot-like creature. 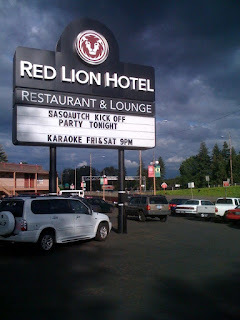 (See YouTube footage on my blog at www.registerguard.com/blogs.) And of John Bull’s four encounters over three decades in areas south and east of Cottage Grove. Once, he and a few other Boy Scouts had sneaked away from Sharps Creek Campground for a few beers late one night. There it was, only 15 yards away, he says. As someone who spends time in the woods, I prefer a more lighthearted version, say, the Bigfoot in the Jack Link’s Beef Jerky commercials. But the witnesses clearly see beyond the humor veil. By nearly 8:30, I’m convinced that it’s a hoax — the film crew, that is — and am ready to leave. But suddenly in walk five Brits and Jim Stuckey, a hunting-show guide — think a Canadian Crocodile Dundee — who’s auditioning to host a new “strange encounters” show for which this is to be the pilot episode. I watch the filming. Hear more stories. Then get in my car and head home through the darkness, glancing more than usual into the woods along the way. Do you believe in Bigfoot? E-mail me at bob.welch@registerguard.com. There's a lot of old squatchin' freinds bumping into each other. Although a newbie, I can't help but feel nostalgic amongst these folks. 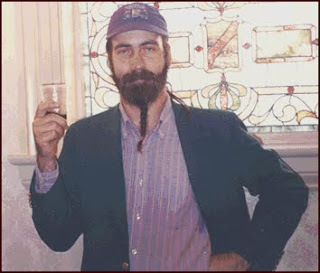 The brew fest is named after Glen "sasquatch" Hay Falconer. A famous northwest home brewer known for brewing legendary batches of microbrew. Formed at the request of the Glen Hay Falconer Foundation, the Northwest Legends Foundation continues the legacy and memory of Glen Falconer by assuring that the Sasquatch Brew Fest continue as a showcase of not only craft brewing, but the educational and community spirit envisioned by all who knew Glen. The Northwest Legends Foundation will invoke the spirit of the legendary Sasquatch (Glen’s nickname) and the memory of Glen Falconer, known as one of the most talented and popular brewers in Eugene, by furthering the art of home brewing through the support of the people who brew craft-brewed beer in their home, and by continuing the financial support of the brewing scholarships and the good works of the Glen Hay Falconer Foundation. Make sure you tell them Bigfoot Lunch Club sent ya! And tip back a few brews for us! You can't miss Toby and David they will be surrounded by tons of casts! 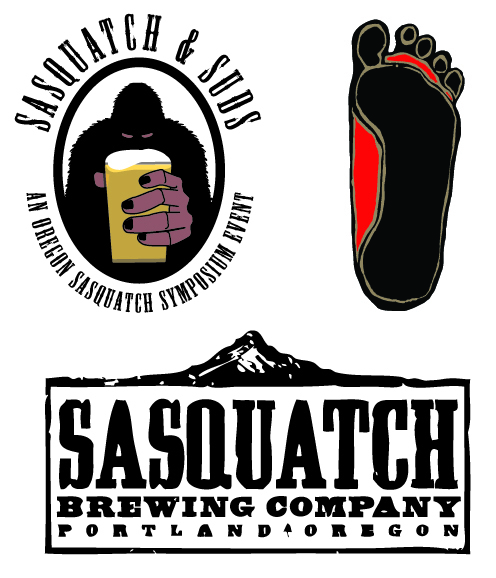 We are proud to announce that we have become one of the proud sponsors of the First Annual Oregon Sasquatch Symposium. Toby Johnson, the guy running the event, borrowed our design team to help produce some marketing materials for him and we are proud to announce we are the first to share it with you publicly. Ta-da! 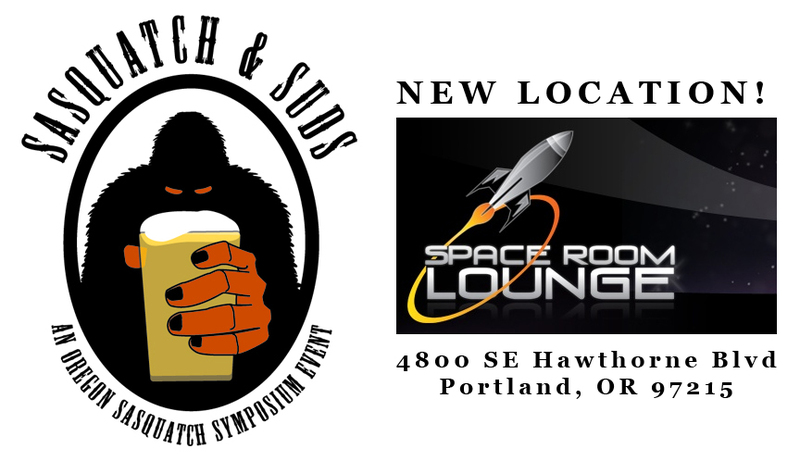 Join us in the beautiful and cozy Willamette Valley next year as we kick off the first annual "OSS" Oregon Sasquatch Symposium in Eugene, Oregon. This event will be held at Lane Community College in the Forum Hall. Seating is limited, and tickets are sure to go fast once they are released. The event was originally formed to unite Oregon researchers within the same venue to share information about what they have going on, basically in their own backyard. The Sasquatch phenomena is, of course, not only an Oregon experience, but given the history of this beautifully forested state, our Sasquatch is as much a part of our culture as the Douglas Fir trees that surround it. The 19th of June will be a day when long-term witnesses and enthusiasts share their personal Sasquatch encounters at the OSS. The 20th of June will be the day expert testimony takes front and center stage . Although not every attendee will be from our own Oregon backyard, we are still delighted to invite them into the shadows of our majestic forests. So far, all is looking fantastic as to the forecast for the 20th lineup. Maybe it is our little known saying that has got everyone so on board. "Oregon, will treat ya so many ways, your bound to love one of em"! David Rodriguez | A 52 yr old Oregon resident who has had a number of encounters with sasquatch over the last 32 years of his life. 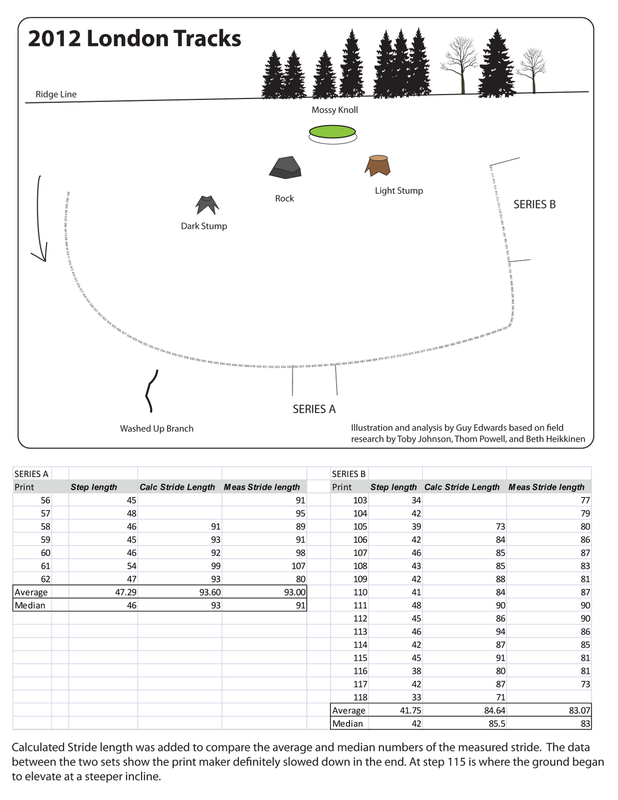 he has a great PDF article on Tree Breaks here. Sali Shepard-Wolford | Author of "Valley Of The Skookum"
Dr. Jeff Meldrum | Author of "Sasquatch: Legend Meets Science"
Ron Morehead | Recorded The Sierra Sounds Volume #1 "Bigfoot Recordings"
What are you waiting for? Go get your tickets now!